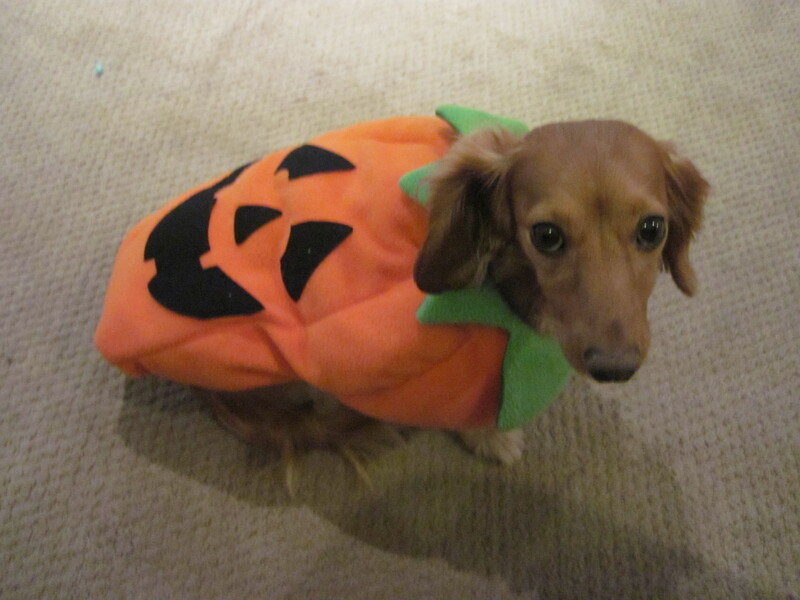 Our furry little pumpkin loved her new costume (it’s like wearing a blanket!). 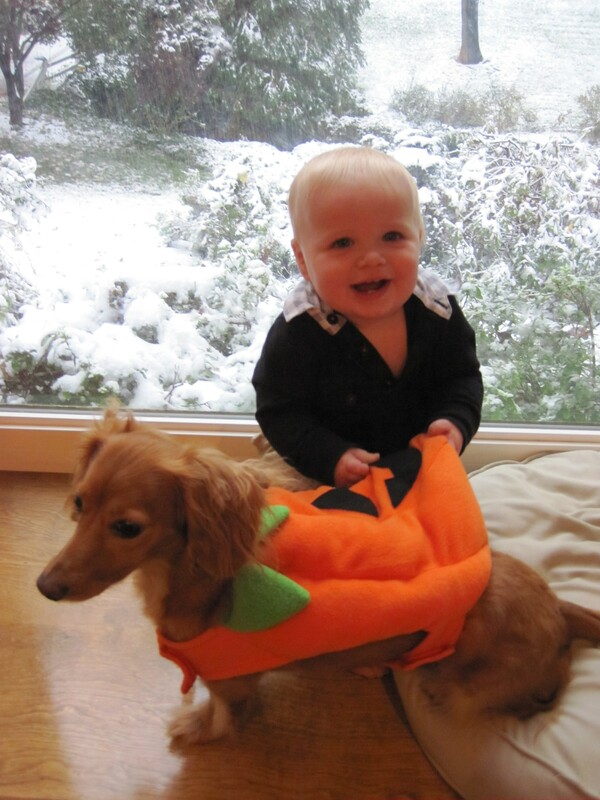 Our not-as-furry baby also loved it because he could grab Gigi in it. Also, although we didn’t have the camera ready, he rested his head on it and used Gigi as a pillow briefly.